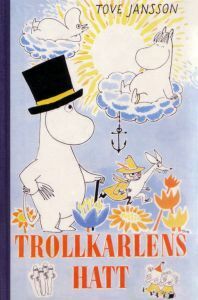 Thanks to the folks at the Yahoo Moominvalley Group and at Schildts for helping me work out the origin of this book. It seems to be a pre-ISBN edition published in 1959 in Sweden; the price is given in Swedish Kronor. AWE / Gebers no longer exists as a publishing house: part of it was bought by Norstedts, and part of it is now Almqvist & Wiksell International.